Cliq is a team collaboration software designed to bring context to your communications. Optimize your time and resources with this all-in-one business tool that's more than just chat. Enable task automation through handy bots, commands and integrations. 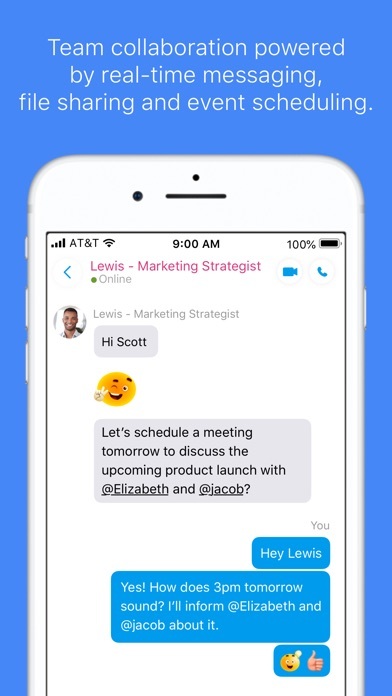 Now, you can customize your chat experience for your business. We don't claim to be world-changing. No, we are motivated by something far simpler: to change the way you work, one chat at a time. 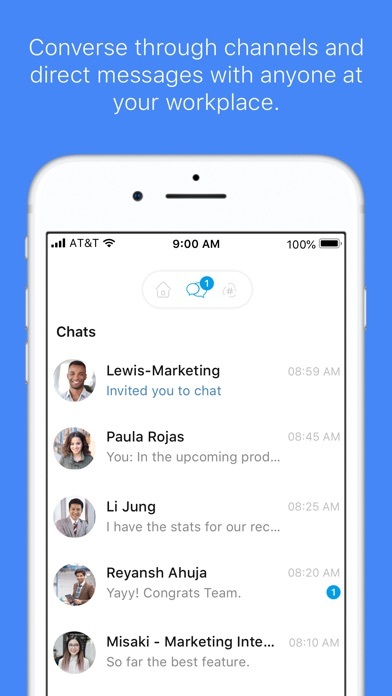 With Cliq, you can use: Channels:Create channels (across your organization, teams, private and external) and chats from your mobile device. Commands: Use slash commands to perform tasks faster and easier, right from your chat window. Bots: Subscribe to bots and automate your daily tasks. 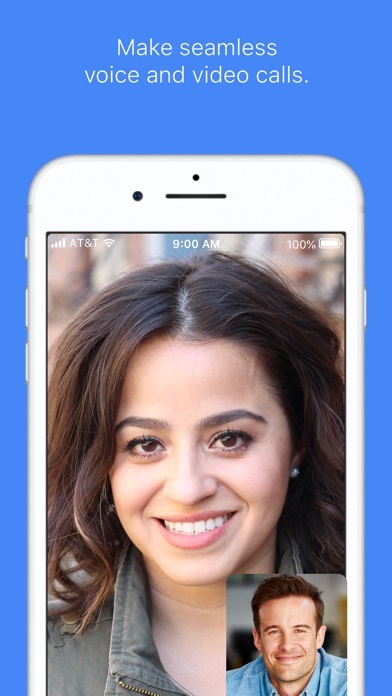 Voice and video calling: Make audio and video calls seamlessly. File Sharing: Share everything you need, including files, location, gifs, and birthdays. 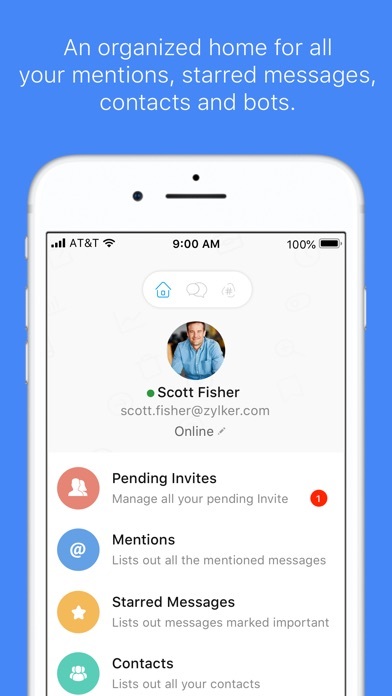 Stay updated 24/7 Use location-based statuses or share your current location within a chat Stay connected, on your time Send messages even when offline. Your messages will be delivered when you come back online. Quick access to all your data View notifications at a glance using widgets for iOS. Simple task automation Use Siri to make calls and send custom messages on Cliq. 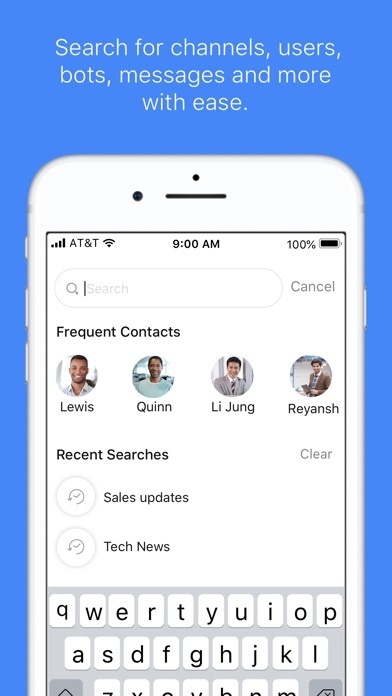 Simplified search solutions Use the Spotlight search feature to access all your Cliq contacts, chats and channels with ease. All this app does is force close about 5 seconds after opening. Using iPhoneXR. I can do anything I want in the app... but only for 5 seconds. So to read a message I have to quickly open the app and the channel repeatedly until I have read what I need to read. Not very efficient at all. I'm running the absolute newest iOS, and even went as far as deleting that reinstalling this app. All this app does now, is crash when opened. Before the auto update earlier today, it worked fine. This is a useless app. I'm running the newest iPhone as well. I love using this app on my iPhone everyday, but very surprised the iPad experience is not optimized. I expected more from an app that’s been updated in 2019. Cliq is a nice app, thanks for creating this. But i have lots of unexpected exit in iphone 7 plus. If they'll add in the support for slash commands I'll be totally happy. Video quality needs to be improved. Downloaded the app, put my information and after that it says hang on a sec and it never does anything after that. It stays on the hang on a sec screen. Have delete the app from my iPhone multiple times and nothing changes.